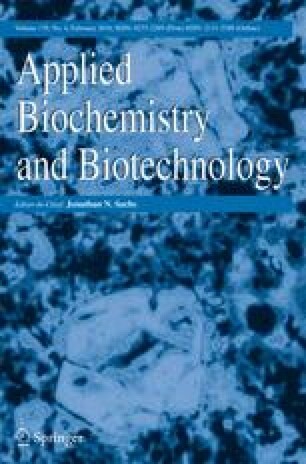 Production of biodiesel from waste cooking oils by a magnetic cell biocatalyst (MCB) immobilized in hydrophobic magnetic polymicrosphere is studied here. The cells of lipase-producing Bacillus subtilis were encapsulated within the net of hydrophobic carrier with magnetic particles (Fe3O4), and the secreted lipase can be conjugated with carboxyl at the magnetic polymicrosphere surface. Environmental scanning electron microscope, transmission electron microscope, and vibrating magnetometer, and so on were used to characterize the MCB. The MCB was proved to be superparamagnetic; and could be recovered by magnetic separation; moreover it could be regenerated under 48 h of cultivation. When methanolysis is carried out using MCB with waste cooking oils under stepwise additions of methanol, the methyl esters in the reaction mixture reaches about 90% after 72 h reaction in a solvent-free system. The process presented here is environmentally friendly and simple without purification and immobilized process required by the current lipase-catalyzed process. Therefore, the process is very promising for development of biodiesel fuel industry.